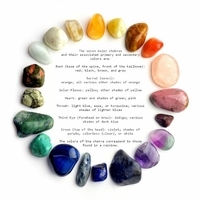 Healing Properties of Gemstones and Crystals. Learn from experts. Various cultures throughout the ages have believed that gemstones emit various vibrations and frequencies - potentially balancing and healing body, mind, and spirit. The following list provides information about the healing properties of the precious and semi-precious gemstones. BALTIC AMBER - When it comes to natural healing, harmony and well-being, natural Baltic Amber is unmatched. Amber serves as an excellent pain relief for the upper body including the head, neck and throat areas, especially for congestion. Amber Jewelry can control pains associated with rheumatism, arthritis, and aching muscles and joints. Improves the body's immunity. What's more, Baltic Amber has the amazing ability to function as a remedy for anxiety and eliminates fatigue and weariness. Learn more about many healing benefits of Baltic Amber. Agate (blue lace) - Cooling, calming, counteracts mental stress and fear of being judged and rejected. Agate (moss) - Attracts abundance. Improves self-esteem, releases fear, deep-seated stress. Helps develop ability to get along with others, inspires after stagnation; promotes self-expression, communication; balances emotions, encourages trust and hope; helps depression. Agate (white) - Soothing, calming, builds self-confidence, improves concentration, perception, analytical abilities; heals emotional trauma. Aids lactation. Amazonite - Extremely soothing, calms brain, nervous system; helps see different points of view; soothes emotional trauma, alleviates worry, fear; dispels negativity; protects against electromagnetic pollution. Amethyst - increases vivid dreams, relieves depression, promotes calm, serenity, and spirituality. Helps with addiction and stress. Headaches; blood sugar imbalance; Left brain imbalances; edginess; facilitates healing; inner peace; psychic insight; stimulates third eye; aid for meditation, spiritual opening and internal surrender. Apatite - Increases motivation and builds up energy reserves. Increases social ease. Stimulates creativity and the intellect. Clears confusion. Eases sorrow, apathy, and anger. Reduces irritability and overcomes emotional exhaustion. Aquamarine - Reduces stress, quiets mind, removes extraneous thoughts. Clarifies perception, sharpens intellect. Protects against pollutants. Increases tolerance, overcomes judgmentalism. Supports feeling overwhelmed by responsibility. Encourages self-responsibility. Breaks old, self-defeating ways. Brings closure. Aventurine - Reinforces leadership qualities, decisiveness. Promotes compassion, empathy. Encourages perseverance. Defuses negative situations, turns them around. Stabilizes the mind, stimulates perception, enhances creativity. Calms anger, irritation. Azurite (with Malachite) - Brings about clear perspective, releases long-standing blocks in communication and stimulates memory. Clears stress and worry. Encourages risk-taking and change. Breaks outworn patterns. Encourages expression of feelings. Supports friendships. Calcite - Clears negative energies. Increases energy. Creates emotional intelligence. Motivates. Calms the mind. Boosts memory. Aids transformation of ideas into action. Alleviates emotional stress, replacing it with serenity. Strengthens ability to overcome setbacks. Carnelian - Improves analytic abilities, clarifies perception. Removes extraneous thoughts. Brings one back to reality. Sharpens concentration. Protects against envy, rage, resentment. Useful for overcoming abuse. Calms anger, emotional negativity. Chalcedony - Brings mind, body, emotions, spirit into harmony. Instills benevolence, generosity. Removes hostility, transforms melancholy into joy. Eases self-doubt, facilitates constructive inward reflection. Absorbs and dissipates negative thoughts, emotions, bad dreams. Aids lactation. Chalcedony (Blue) - Creative stone. Opens mind to new ideas, situations. Imparts mental flexibility, verbal dexterity. Enhances listening skills, communication. Stimulates ability to learn new languages, improves memory. Increases optimism. Aids lactation. Chrysocolla - Tranquil, sustaining stone. Alleviates guilt, reverses destructive emotional programming. Improves communication, knowing when to keep silent. Encourages self-awareness, balance. Imparts confidence, sensitivity. Enhances personal power, inspires creativity. Overcomes phobias. Motivates. Reduces mental tension. Chrysoprase - Promotes hope, security, trust. Aids personal insights, creativity. Calming, relaxing, aids peaceful sleep. Creates openness to new situations. Overcomes compulsive or impulsive thoughts, actions, turns attention to positive events. Combats judgmentalism, stimulates acceptance. Stimulates mental dexterity. Citrine - helps digestion and aids in mental and intellectual functions. Increases self-esteem and energy. Balances and dissipates negative energy. Heart, kidney, liver & muscle healer; appendicitis;gangrene; red & white corpuscles; digestive tract; cleanses vibrations in the atmosphere; creativity; helps personal clarity; will bring out problems in the solar plexus & the heart; eliminates self-destructive tendencies. Emerald - Brings loyalty, unity, unconditional love, partnership, friendship. Calming. Balances. Eliminates negativity. Focuses. Gives strength to overcome lifes misfortunes. Enhances ability to live life to the fullest. Imparts mental clarity, strengthens memory, broadens vision. Aids communication. Brings what is unconsciously known to the surface. Fluorite - Helps discern, stop outside influences. Protects from stress, negativity. Overcomes disorganization. Improves physical and mental coordination, balance. Dissolves fixed ideas, helps move from narrow to bigger picture. Dissolves illusions, reveals truth. Increases concentration. Helps absorb new information, promotes quick thinking. Stabilizes. Garnet - Energizing. Revitalizes, purifies, balances energy, bringing serenity or passion. Inspires love, devotion. Fortifies, activates, strengthens survival instinct, brings courage, hope. Turns a crisis into a challenge. Sharpens perception. Dissolves no longer useful ingrained behaviors and bypasses resistance. Helps let go of useless, obsolete ideas. Hematite - Imparts confidence. Boosts self-esteem, enhances willpower. Treats any form of overindulgence. Helps come to terms with mistakes and accept them as learning experiences rather than disasters. Stimulates concentration and focus. Enhances memory and original thought. Howlite - Extremely calming. Aids insomnia. Formulates ambitions, aids achievement. Teaches patience, eliminates rage, uncontrolled anger, selfishness. Stills the mind. Strengthens memory, stimulates desire for knowledge. Iolite - Aids understanding and releasing causes of addiction. Helps one to express true self, free from others expectations. Releases discord. Encourages self-responsibility. Overcomes codependency. Iron Pyrite - Blocks negative energy, pollutants, diseases. Overcomes inertia, feelings of inadequacy. Stimulates ideas. Promotes diplomacy. Relieves anxiety, frustration. Boosts self-worth, confidence. Accelerates mental activity, improves memory, recall. Aids melancholy, deep despair. Increases energy, overcomes fatigue. Jade - Protects, cleanses, keeps wearer from harm, brings harmony, love, nurturing, attracts good luck, friendship. Stabilizing. Promotes self-sufficiency. Releases negative thoughts, soothes the mind. Stimulates ideas, makes tasks seem less complex, encouraging immediate action. Encourages one to become who one really is. Jade (Blue/Blue-Green) - Symbolizes peace, reflection. Brings inner serenity, patience. The stone for slow but steady progress. Helps those who feel overwhelmed by situations beyond their control. Jade (Green) - Calms the nervous system and constructively channels passion constructively. Harmonizes dysfunctional relationships. Jade (Orange, Yellow) - Energetic and quietly stimulating. Brings joy, teaches interconnectedness of all beings. Jasper - Sustains and supports during stress, brings tranquility, wholeness. Imparts determination, courage to assertively deal with problems, encourages self-honesty. Supports during necessary conflict. Aids quick thinking, promotes organizational abilities, seeing projects through. Stimulates the imagination, transforms ideas into action. Jasper (Brown & Picture) - Encourages ecological awareness. Brings stability, balance. Alleviates environmental stress. Jasper (Red) - Gently stimulating. Grounds energy, rectifies unjust situations. Brings problems to light before they become too big, provides insights into difficult situations. Makes an excellent worry bead, calming emotions when played with. Strengthens one's boundaries. Jasper (Mookaite) - Imparts desire for new experiences and deep calm with which to face them. Encourages versatility. Points out all possibilities, assists in choosing right one. Jasper (Picture) - Brings hidden guilt, envy, hatred, love to the surface. Once repression released, it's seen as lessons along the way. Instills sense of proportion, harmony. Brings comfort, alleviates fear. Jasper (Orbicular) - Supports service, assists in accepting responsibility, instilling patience. Jet - Draws out negative energy, alleviates unreasonable fears. Stabilizes finances, protects businesses. Promotes taking control of life. Balances mood swings, alleviates depression, brings stability, balance. Kyanite - Stimulates intuition. Instills compassion. Never requires cleansing. Encourages speaking the truth. Dispels fears, blockages, illusions, anger, frustration, stress. Encourages self-expression, communication. Increases capacity for logical and linear thought. Labradorite - Deflects unwanted energies. Stimulates intuition, raises consciousness. Banishes fears, insecurities. Strengthens faith in the self. Removes other's projections. Calms overactive mind, energizes imagination. Brings contemplation and introspection. Dispels illusions. Useful companion through change, imparting strength, perseverance. Lapis Lazuli - Blocks psychic attack. Harmonizes, alleviates depression. Encourages taking charge of life. Encourages self-awareness, self-expression, creativity. Brings objectivity, clarity. Helps confront truth and accept what it teaches. Harmonizes conflict. Teaches value of active listening. Bonds relationships and friendship, aids expressing feelings and emotions. Magnesite - Calming effect on emotions, promotes tolerance for emotional stress. Supports people who are nervous and fearful and helps them overcome irritability and intolerance. Teaches how to attentively listen to others. Malachite - Powerful, protective, transforming stone. Easily absorbs negative energies, pollutants, radiation. Cleanse before and after use (placing on quartz cluster in sun). Encourages risk-taking, change. Draws out deep feelings, causes, breaks unwanted ties, outworn patterns. Teaches self-responsibility. Develops empathy. Alleviates shyness, supports friendships. Moonstone - Heightens consciousness, promotes intuition, empathy. Calms overreactions to situations, emotional triggers. Balances male-female energies. Opens mind to serendipity. Soothes emotional instability, stress. Improves emotional intelligence. Enhances psychic abilities. Obsidian (Snowflake) - Calms, soothes. Helps recognize and release "wrong thinking", stressful mental patterns. Promotes dispassion, inner centering. Onyx - Strength giving, facilitates being master of one's destiny. Provides support in difficult or confusing circumstances and during times of enormous mental or physical stress. Promotes vigor, steadfastness, stamina, and self-confidence. Opal - Stimulates originality, dynamic creativity, expressing one's true self. Enhances self-worth, helps understand full potential. Intensifies emotional states. Brings loyalty, faithfulness, spontaneity, but may amplify any fickleness tendency where present. Peridot - Cleanses. Clears burdens, guilt, obsessions. Teaches that holding on to people or the past is counterproductive, helps detach oneself from outside influences. Releases negative patterns, emotions, stress. Enhances confidence, assertion. Motivates growth, helps bring about necessary change. Promotes psychological clarity, well-being. Sharpens mind. Banishes lethargy, brings attention to things consciously or unconsciously neglected. Aids self-responsibility, forgiveness. Prehnite - Calms, brings peace, protects. Helpful to "decluttering," helps let go of unnecessary possessions and appropriately organize what is kept. Aids those who hoard possessions or love, because of an inner lack. Restores trust. Alleviates nightmares, phobias, and deep fears. Beneficial for hyperactive children. Quartz - Absorbs, stores, releases, regulates, unblocks energy. Enhances psychic abilities, attunes to spiritual purpose. In meditation, filters out distractions. Aids concentration, unlocks memory. Aids healing. Quartz (Rutilated) - Breaks down barriers to spiritual progress, letting go of past. Filters negative energy, supports during emotional release. Reaches root of problems and facilitates transitions, change of direction. Antidepressant. Relieves fears, phobias, and anxiety. Promotes forgiveness. Quartz (Smoky) - Grounds. Gently neutralizes negative energies. Teaches how to leave behind anything that no longer serves. Relieves fear, lifts depression, and brings emotional calmness. Alleviates suicidal tendencies and ambivalence. Dissolves negative emotions. Promotes positive, pragmatic thought. Quartz (Snow) - Supports during learning lessons and helps let go of overwhelming responsibilities and limitations. Perfect for people who feel put upon whilst actually creating that situation because they need to be needed. Can overcome martyrdom and victimhood. Enhances tact and cooperation. Helps one to think before speaking. Quartz (Tourmalinated) - Brings together properties of quartz and tourmaline. Grounds. Strengthens bodys energy field against external invasions and deflects detrimental environmental influences. Dissolves crystallized patterns, releases tension. Turns negative thoughts, energies into positive ones. Alleviates self-sabotage. Effective problem solver. Rhodochrosite - Imparts dynamic, positive attitude. Helps assimilate painful feelings without shutting down, removes denial. Gently brings painful, repressed feelings to surface, for acknowledgment, emotional release. Helps identify ongoing patterns, face the truth, without excuses or reservations, but with loving awareness. Urges confrontation of irrational fears, paranoia. Improves self-worth, soothes emotional stress. Encourages creativity. Helps integrate new information. Lifts depression, brings lightness into life. Rhodonite - Emotional balancer, nurtures love. Has ability to show both sides of an issue. Stimulates, clears, activates the heart. Grounds energy. Aids in achieving ones highest potential. Heals emotional shock and panic, lends a supportive energy. Beneficial for emotional self-destruction, codependency, abuse. Assists forgiveness and reconciliation. Builds confidence, alleviates confusion. Rose Quartz - Calming, reassuring, excellent for trauma, crisis. Attracts love, relationships, restores trust and harmony in relationships, encourages unconditional love. Gently draws off negative energy, replacing it with loving vibes. Strengthens empathy, sensitivity, aids acceptance of necessary change. Excellent for mid-life crisis. Soothes internalized pain and heals deprivation. Comforts grief. Encourages self-forgiveness, acceptance, invokes self-trust and self-worth. Ruby - Overcomes exhaustion, lethargy. Encourages passion for life. Energizes and balances, but can overstimulate delicate or irritable people. Protects against psychic attack. Aids retaining wealth and passion. Brings up anger or negative energy. Removes negativity. Promotes dynamic leadership. Brings about positive and courageous state of mind. Heightens awareness and concentration. Strengthens during disputes, controversy. Calms hyperactivity. Sapphire - Focuses, calms mind, releases unwanted thoughts and mental tension. Brings peace of mind and serenity. Aligns physical, mental, and spiritual planes, and restore balance within the body. Releases depression spiritual confusion and stimulates concentration. Brings prosperity and attracts all kinds of gifts. Serpentine - helps one feel more in control of one's life. Corrects mental and emotional imbalances. Assists conscious direction of healing energy toward problem areas. Serpentine (Infinite Stone - light green serpentine) - Accesses and integrates past, present, and future. Promotes compassion and forgiveness for oneself and what one went through. Clears emotional baggage from previous relationships. Useful for confronting anyone from ones past, bringing a gentle touch to the meeting. Silver is considered to improve speech and bring eloquence. It is also purported to attract, enhance and store the energies of gemstones, as well as draw out negative energies. Physically, silver is a natural antiseptic . Traditionally, it has been used to aid hepatitis treatments, eliminate toxins, expel toxins through the pores, headache, rheumatic pain, nausea and gastritis, obesity, diabetes, and increase assimilation of vitamins A and E. Silver is believed to benefit circulation, help lungs and throat, and detoxify the blood, to aid in the treatment of degenerative brain diseases, balancing of hormones and chemicals and improvement of nerve impulse transmission. Sodalite - Clears electromagnetic pollution. Helps "sick-building syndrome". Eliminates mental confusion. Encourages rational thought, objectivity, truth. Calms the mind, allowing new information to be received. Stimulates release of old mental conditioning and rigid mind-sets, creating space to put new insights into practice. Brings about emotional balance and calms panic attacks. Enhances self-esteem and self-acceptance, and self-trust. Sugilite - Protects from shocks, trauma, disappointments. Helps sensitive people from becoming despondent. Aids forgiveness, eliminates hostility. Beneficial for people who do not feel the earth is their home. Overcomes learning difficulties. Excellent for autism, helps ground into present reality. Imparts ability to face up to unpleasant matters. Alleviates sorrow, grief, fear, promotes self-forgiveness. Encourages positive thoughts and reorganizes brain patterns that underlie learning difficulties such as dyslexia. Tiger's Eye (Blue) Assists accomplishing goals, recognizing inner resources. promoting clarity of intention. Differentiates between wants and needs. Integrates brain hemispheres, enhances practical perception. Aids in collecting scattered information to make a coherent whole. Helps resolve dilemmas, internal conflicts. Heals self-worth, self-criticism, and blocked creativity. Helps recognize ones talents and abilities, and faults that need overcoming. Supports addictive personalities to make changes. Balances emotionally, energizes. Alleviates depression, lifts moods. Calming and releases stress. Aids the overanxious, quick-tempered, and photic. It slows the metabolism. Tiger's Eye (Gold) Assists accomplishing goals, recognizing inner resources. promoting clarity of intention. Differentiates between wants and needs. Integrates brain hemispheres, enhances practical perception. Aids in collecting scattered information to make a coherent whole. Helps resolve dilemmas, internal conflicts. Heals self-worth, self-criticism, and blocked creativity. Helps recognize ones talents and abilities, and faults that need overcoming. Supports addictive personalities to make changes. Balances emotionally, energizes. Alleviates depression, lifts moods. Aids paying attention to detail. Assists acting from reason not emotion. Excellent for tests, important meetings. Tiger's Eye (Red) Assists accomplishing goals, recognizing inner resources. promoting clarity of intention. Differentiates between wants and needs. Integrates brain hemispheres, enhances practical perception. Aids in collecting scattered information to make a coherent whole. Helps resolve dilemmas, internal conflicts. Heals self-worth, self-criticism, and blocked creativity. Helps recognize one's talents and abilities, and faults that need overcoming. Supports addictive personalities to make changes. Balances emotionally, energizes. Alleviates depression, lifts moods. This stone stimulates; overcomes lethargy and provides motivation. It speeds up a slow metabolism. Tourmaline - Aids understanding oneself and others, promotes self-confidence, diminishes fear. Banishes feeling of being a victim and attracts inspiration, compassion, tolerance, and prosperity. Powerful mental healer, balancing right-left brain hemispheres and transforming negative thought patterns into positive ones. Treats paranoia, dyslexia, improves hand-to-eye coordination and assimilation and translation of coded information. Topaz - Brings joy, generosity, good health. Brings successful attainment of goals. Induces relaxation. Releases tension. Aids problem-solving. Excellent emotional support. Turquoise - Heals, dispels negative energy, protects. Promotes self- realization, assists creative problem-solving and calms nerves when speaking in public. Strengthening stone. Dissolves martyred attitude or self-sabotage. Aids creative expression. Stabilizes mood swings, brings inner calm. Excellent stone for exhaustion, depression, or panic attacks. You can wear the stones as jewelry, or in a pouch worn around your neck on a string and tucked away inside your clothing. You can also keep them loose in your pocket. Keep them with you to achieve the beneficial effects. We also invite you to explore and learn about Baltic Amber's history in our Baltic Amber Education Room. So welcome, and thanks for visiting us. If you have any questions or suggestions, we would love to hear from you.